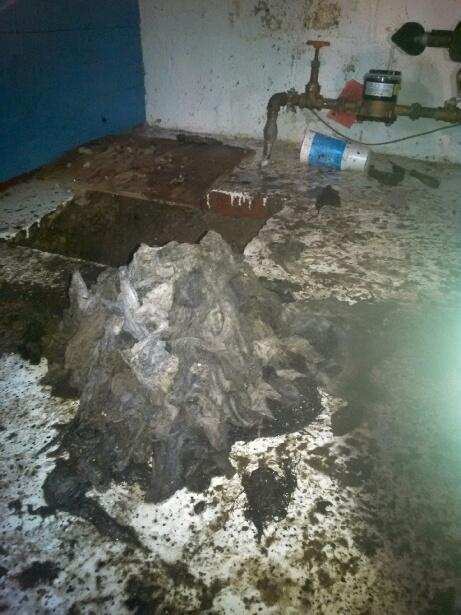 This picture will either scare you or awaken you, but yes these are baby wipes that were flushed down a toilet. You ask yourself why do we flush what we flush down our toilets? The easy answer is that it’s easy and takes no effort. But the reality is that they do end up clogging your sewer system. Wipes in general may say that they are flush friendly but that doesn’t mean their friendly in our sewer systems. Sewer lines are put together pipe after pipe and most sewer lines are getting old which means they shift up or down and from side to side. Which indicates that everything we put into our drains may or may not be getting to the city sewer. If debris we flush or put down any drain doesn’t make it’s journey to the city sewer then yes it will eventually back up your line which means a back up or flood in your home. Try and remember not to flush baby wipes and if you do make sure your aware when you start to notice signs of a backed up sewer line. Always be proactive when dealing with plumbing and drain cleaning cause at any given time something like a flood or water break can happen.